PU BLISHED IN: November 2015. THE EDITOR: Gina Hogan Edwards, Melisa Taylor. THE PUBLISHER: Southern Yellow Pine (SYP) Publishing. SUMMARY: At seventeen, Tess Cooper was a high school drop-out, an orphan, and a single mom to a baby girl with Down syndrome. The next two years didn’t turn out like she thought it would. After her dad’s death, she flees Brooksville, Alabama, in his beloved 1957 Thunderbird before the red clay on his grave can settle. A year of traveling from place to place brings Tess and Paisley to the deep fried, southern town of Panacea, Florida, where her money runs out. A stranger, named Butterball, takes them in and gives Tess a job taking pictures at Wakulla Springs State Park and the annual Sopchoppy Work Grunting Festival. THE BACK STORY: This novel started on a scrap of paper. A few weeks later my husband and I were cleaning off the kitchen counters of clutter when he found it. I was embarrassed and yanked it away. He had no idea I was working on a novel until that moment. He has been encouraging me ever since. Shortly after that I joined Tallahassee Writer’s Association, and I haven’t looked back. The novel took about four years to write, but I’ve been writing for fun off and on since I was a child. I didn’t get serious and consider it something that could be a career until I joined Tallahassee Writer’s Association. The research for my novel was considered more fun than research. I visited Wakulla Springs, the Sopchoppy Worm Grunting Festival, and Wakulla Historical Society. WHY WOULD SOMEONE WANT TO READ IT? I wrote the type of book that I would have enjoyed as a young woman that had just given birth to a physically and mentally challenged baby. I was scared when my daughter was born and far away from my family. There was very little reading material available on the subject of Down syndrome. What I was able to find was more like a textbook. I needed something to read that showed me life would continue, and be filled with spontaneous laughter. “I started this book yesterday and couldn’t stop for the life of me. 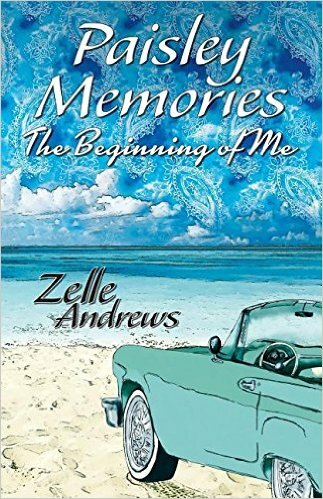 Wonderfully written, Paisley Memories is a heartwarming story. 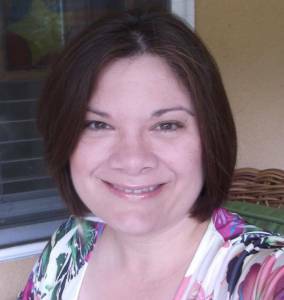 It breaks your heart and then puts it back together.” Carolina Godinho, Blogger thebookisonmytable.blogspot.com. AUTHOR PROFILE: My first endeavor at writing was at the age of twelve. It was a short poem I wrote in middle school that was selected to be published in the Tallahassee Democrat. Many years later when I was grown and had children of my own I found the yellowed newspaper clipping that my mother had saved. Paisley Memories is my debut novel and was four years in the making. It was a great day when it found a home with Southern Yellow Pine Publishing. I live near the Florida coast with my family. When I’m not writing or reading I’m being entertained by our two boxers, Ruby and Cooper, collecting peacock and beach décor or collecting books for my Free Little Library by our house. The weight of Paisley on my hip caused my high heels to sink slowly in the soft, Alabama red clay. Many people came to pay their respects. They lingered for a while, hugging and consoling each other, but when the first one decided to leave, the rest followed like a stampede. Potted mums were removed and placed to the side. The uncomfortable, gray metal chairs were folded and placed in a waiting truck to be returned to the funeral home. I held my breath as they lowered my dad’s casket into his new home. With each inch the casket descended in its red tomb, my heart descended too. The last guest reached out to touch my shoulder as she shook her head. No words came to her. I didn’t even know who she was. She drove away without saying a word. Everyone left, but their whispers lingered and became a dark, oppressive cloud-whispers of what would become of my daughter Paisley and me, now that my dad had died. The sting of their words still circulated: out of wedlock, orphan, retarded, unemployed, uneducated, high school dropout. I blinked to stop the tears flowing from my eyes and stood in silence as clay was dropped on top of his casket. The funeral director attempted to persuade me to leave, but it didn’t work. I had to see this. The grave digger placed a large mountain of red clay over the grave that made me think of a gigantic ant bed. He patted it down, reminding me of patting someone’s back when saying good-bye. Well, this was good-bye. When the last person left, I pulled my heels free from their clay prison, heaved Paisley a little higher on my hip, and walked to the headstone. Without a thought, I raked my hand over the engraving of George Daniel Cooper and Margaret Rose Cooper. My mom’s engraved date of death only three days after my birth was green with algae and smooth to the touch. My dad’s date of death, April 5, 2013, felt new, rough, and sharp on my fingertips. “I hate you,” I said as my fingertips lingered on his name. Then my fingers curled into an ugly claw. I walked toward my dad’s 1957 Thunderbird, my escape from this place, and fastened Paisley in her car seat. The Samsonite luggage was stacked so high it bulged under the dry-rotted convertible top. Duct tape covered a previous rip from when our neighbor’s overweight cat decided it was a nice spot to catch a few rays. It was the only waterproof part of the top. His car, which was now mine, rattled to a start. After making sure I was alone, off came the depressing black dress. My high heels were next. There I sat, in my cutoff jeans, gray tank top, jade-colored toenails, and flip flops on the floorboards. The house was already sold, so the only place to change would have been in a fast-food stop. I didn’t want to stop anywhere on the way out of town. I just wanted to get the “heck out of Dodge.” So done with this town and the people in it. The gears moaned in protest when I lowered the ragtop. A few memories of my life here traveled with me: Paisley, in the car seat beside me, my dad’s lucky wheat penny in my pocket, and the family album I grabbed on the way out the door. Dad always said that family albums should be filled with treasured photos of fond memories. I stopped putting pictures in it when Dad died. There wasn’t even a photo of Paisley, and she was a little over a year old. While driving through the iron-gated entrance of Goodbread Memory Gardens in Brooksville, Alabama, I purposely knocked the rearview and side mirrors out of place, so I wasn’t tempted to look back. Someone once told me not to look back when leaving for a journey, as it was bad luck. I’d had all the bad luck one person could stand in this life, and I wasn’t going to take any chances. This was going to be a journey of epic proportions. This sounds very interesting. I am certainly going to add it to my “to read” list. I can’t wait to read more about Tess and Paisley’s life together.